Whether you’re the small business owner who just needs to create a few simple graphics, or you’ve set out in your design career and realized you have little money to pay for the programs that will make you money…don’t worry – you don’t have to declare bankruptcy. There are some great budget-friendly alternatives you can use instead of those fancy Adobe programs everyone is using nowadays. Keep reading to find out how you can save some cash without caving to a monthly Adobe subscription. You’re bound to love one of these alternatives! Want an advanced program like Adobe Illustrator, but free? Well, I’m here to tell you that the program exists, and it’s called Affinity Designer. This program does it all. You can design brand work, iconography, conceptual artwork and even user interfaces. This program is so great, it won the “Apple Design Award” at WWDC in June 2015. Don’t have the money to buy Adobe Photoshop to design web layouts and web pages? 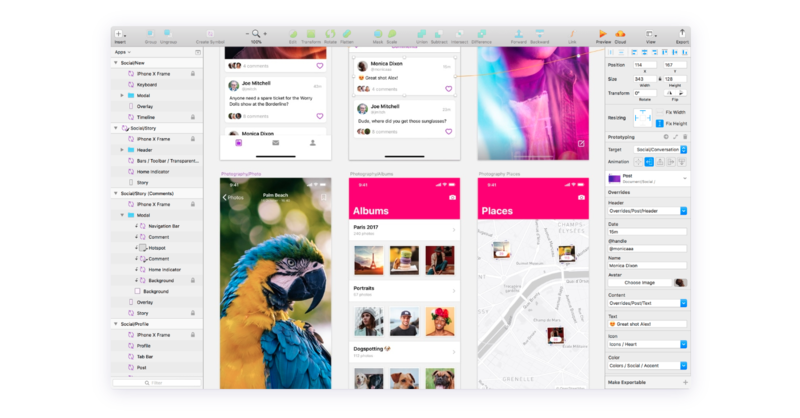 Introducing Sketch. Use Sketch to create web pages, web interfaces and even icons. Sketch lets you do this by giving you the ability to design intricate shapes, layer styles and output in vector format. The free trial runs out pretty quick, but you can purchase the full license for $99. Really, that’s cheap for a one-time price. 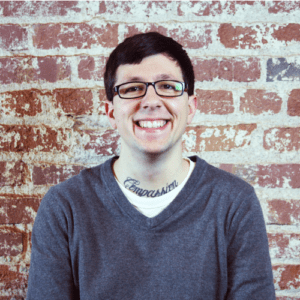 Not familiar with UX design? Unsure of why it’s important? Check out this article! Canva is a STAPLE of the Red Branch Media social team. Why? It’s built for anyone to use, easily and seamlessly. 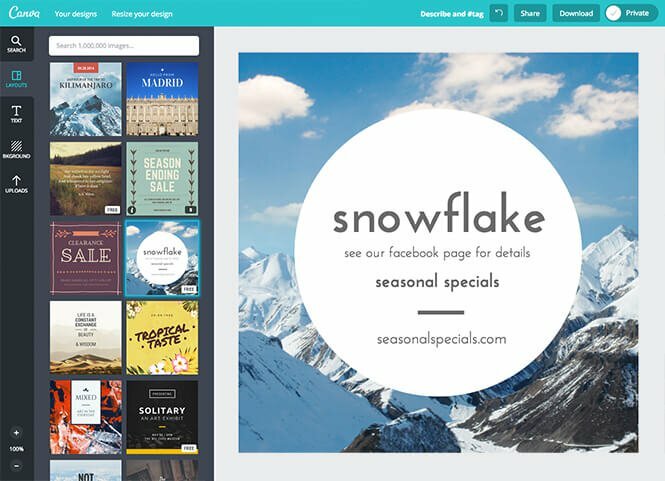 This tool is free, but you can purchase an extended version, called “Canva for Work,” with more company branding features for $9.95 a month (for an annual subscription) or $12.95 a month (for a month-to-month subscription). I highly recommend the extended version so you can upload company colors, logos, graphics and even your own font files and store them in your personal Canva library to create graphics anywhere, anytime. It’s a powerful tool, and despite not having near as many capabilities as Affinity or Sketch, it’s a great option if you’re only making small designs such as social images, event invites, etc. Speaking of Canva, Check out These Other Social Media Tools! You don’t have to shell out the big bucks for powerful design software if you don’t want to. You can use these free alternatives to get the job done, with the same quality. Why pay up to $239.88 a year for a “Single App” Adobe subscription plan when you can do the same work from $0 to $119.99, forever? 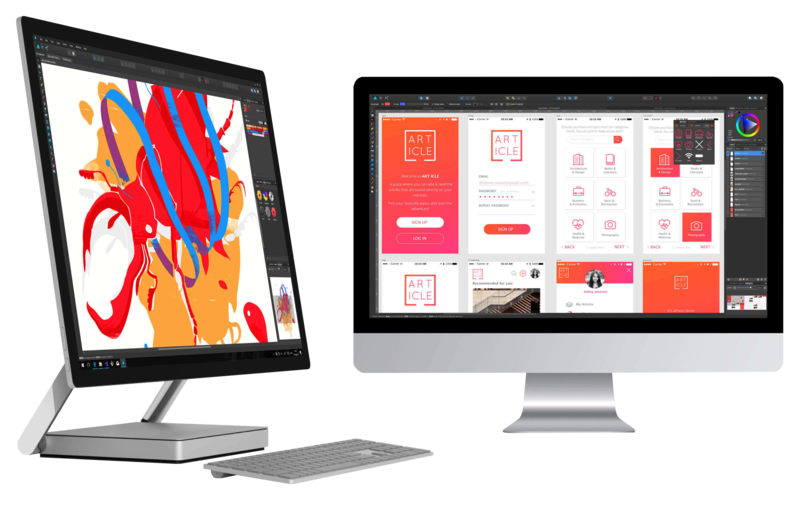 For a program that rivals Adobe, try Affinity Designer or Sketch, and if you’re looking for an online editor, go for Canva. These alternatives will save you plenty of money in the long run, should you decide against Adobe.